Apple customers in India won’t be able to use Apple Pay in the country anytime soon, as a report claims a number of roadblocks are preventing the company from setting up its service in the potentially lucrative market. Apple had plans to set up a Unified Payments Interface in India that would allow Apple Pay to perform transactions with banks in India, reports the Economic Times. Report sources say that, despite holding discussions with major banks operating in India, as well as UPI platform manager the National Payments Corporation of India, the project has been put on hold. According to the sources, Apple is concerned with the Reserve Bank of India’s recently-created data localization rule, which requires companies to store their payment data within India. While Apple has complied with similar restrictive data storage demands, like it does for Chinese customer data, this would require Apple to set up storage facilities in India or work with a partner in the country, with each taking time to organize. A second problem, according to a source, is that the NCPI disagrees with the use of fingerprint recognition to authenticate payments through a UPI platform, with its rules preventing on-device biometric systems like Touch ID from being used in transactions. Instead, NPCI would require the use of four or six-digit numbers as authorization. NCPI does acknowledge biometric authentication, but only when it is validated by UIDAI, a government agency. As Touch ID is kept confined to the device, such validations with an external entity are not possible. It is claimed that the issues not only affect Apple, but other firms looking to roll out similar monetary transaction services in the market, including Amazon and WhatsApp. PayPal, MasterCard, and Visa are also named as having issues with the data localization role, and Google is also said to be reconsidering its own plans for the market. 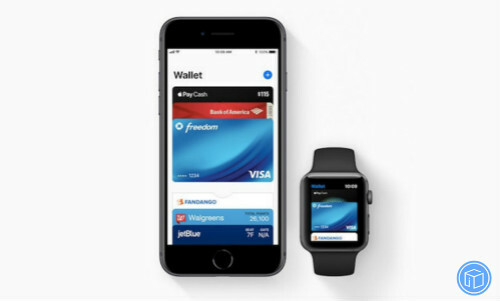 The stalling of Apple Pay is one of a number of issues endured by Apple as it tries to increase its presence in the market. It has restructured its sales team for the area, including the departure of three high-level executives, in a bid by the Indian division’s new boss to improve local sales. Apple is also battling the country’s telecommunications regulators in a disagreement over user privacy in an anti-spam app the government wishes to have installed on iPhones. Apple’s resistance to allow the app has prompted the regulator to create new rules that could cause iPhones to be banned from carriers in the country, and could lead to a courtroom battle over the matter. The company is also still waiting for permission to open its own stores in the market, a delay that is reportedly forcing it to explore opening premium franchise-owned stores in the interim. This entry was posted in Tips and Tricks and tagged apple pay deleded in india over data storage and authentication rules by IosdroneD. Bookmark the permalink.